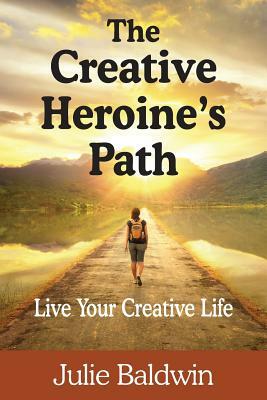 The Creative Heroine's Path shows you how to transform your life and express your creative genius, with deep insights and practical tools to get you moving. Banish sneaky mindsets that keep you stuck, and choose new perspectives that inspire you. Identify your passion, purpose, and power so you can tap into the energy that fuels your creative calling. Move past your critical inner dragon to liberate your creative gifts. Own your creative genius and develop your unique voice. The Creative Heroine's Path teaches a way of being and doing that supports your creative work in the world. In the creative ebb and flow of life, you move from being (who you are) to doing (the actions you take), which in turn leads to becoming who you are evolving into as an artist. The Creative Heroine's Path is the perfect book for soulful creatives who feel blocked, or want to create more in--and of--their lives.